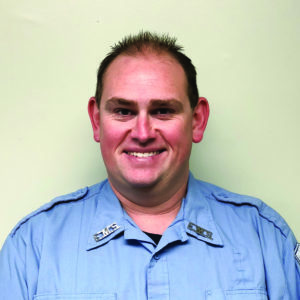 Mike Schwenke is a respected member of the EMS community in Effingham, Illinois, and has been for 14 years. He enjoys teaching almost as much as he loves being a Paramedic. Throughout his career, he has taught countless numbers of first responders, EMTs, and Paramedics. Mike excels in his teaching, and wants to make sure his coworkers can meet the same standards of excellence he holds for himself. While Mike has only been with Abbott EMS for one year, his dedication to the profession has proven invaluable to our operation. Mike wants everyone to be knowledgeable, and is always first to answer questions from his team and others. He took the time to meet with local hospitals and train them on Abbott’s preferred airway devices, as they had not previously used the i-Gels brand. Mike also met with the local fire departments to improve communication and collaboration on emergency calls.